Would you like to work for the collective of over 10.000 students of Wageningen? Would you like to know more what SAW does? Here you have an overview of our commissions. 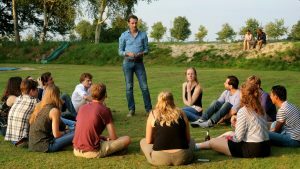 What the Student Alliance Wageningen seeks in a committee member. 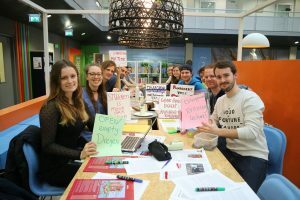 As a committee member of the S.A.W., you have a heart for education, housing, internationalisation, sports or public transport and you are involved in the student life in Wageningen. You have a wide interest and are willing to work on problems. Working together within the SAW is of great importance, but personal initiative is equally important, because we are just starting up. You are accessible to students and dare to give your opinion about matters that concern the student interest. In addition, you are eager to learn and to get things done. You are approachable and able to give and receive critique. The housing committee of S.A.W. 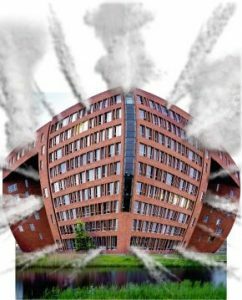 is concerned with the developments of student housing in Wageningen. Because the university is growing, the shortage of rooms increases rapidly every year. We talk to the municipality, the university, Idealis and other organizations and stakeholders. 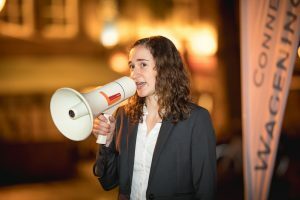 Through lobbying and actions we try to build more student rooms. We are also working on improving the contacts between students and other residents of Wageningen. We will also facilitate the consultation between the housing committees of the various associations. As an member of the education committee, we are involved in all changes in education. The growing university also has a lot of influence in this area. The quality must be guaranteed and preferably even improved. We will inform Program Committees about their rights and we will monitor the education of Wageningen University as an independent party. 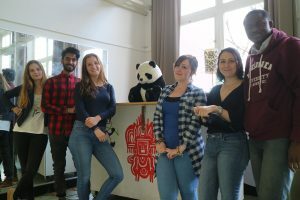 Many international students are experiencing some problems during their time in Wageningen. These are mainly encountered at the beginning. That is why we are working with various parties to produce an information document for newly arrived international students. This will include things like how to register with a bank or health insurance to where you can buy furniture or a bicycle. We will also translate some documents from the municipality and offer them on our website to offer everyone the best possible student time. Furthermore, we are busy with the introduction of English-language bachelors. The English level of the lecturers will first have to go up and the subject content will be adjusted with policy, before the university can reunite the designated bachelors without making the quality of education worse. Since the S.A.W. 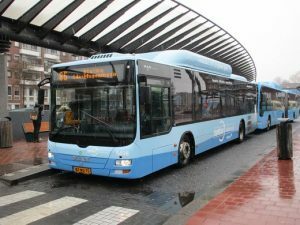 is taking part of the ROCOV (Regional Consultation Consumer Organizations Public Transport) Gelderland, we can directly represent the interests of Wageningen students and also keep you up to date on changes in public transport. Furthermore, we are concerned with fast cycle routes, rental / public transport bicycles, options for traveling together with the car and the needs and bottlenecks of the various options. The S.A.W. is a alliance and will therefore put pressure on organisation by organizing campaigns or approaching the press. Moreover, we only exist shortly, so communication to the outside world is very important to create familiarity and legitimacy. Need more information or de you want to sign up?